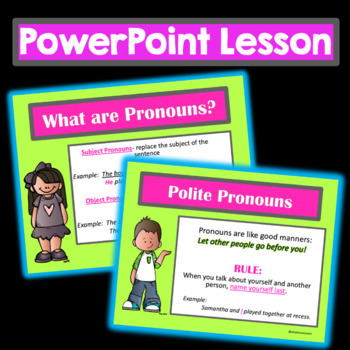 This packet has everything you need for teaching pronouns: a powerpoint lesson, task cards, a fun activity, and an assessment! 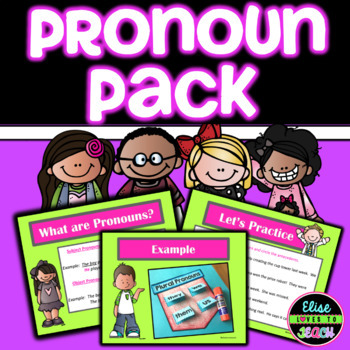 * Pronoun Pocket Activity- *Perfect* for interactive notebooks or a stand-alone activity to formatively assess student learning. Easy-to-follow instructions with simple cutting and minimal gluing make this a teacher AND student favorite! * Pronoun Quiz-10 questions aligned to the lesson...all the assessment work has been done for you! The powerpoint lesson can easily be crafted to your students’ abilities. It covers antecedents, singular/plural pronouns, and subject and object pronouns. 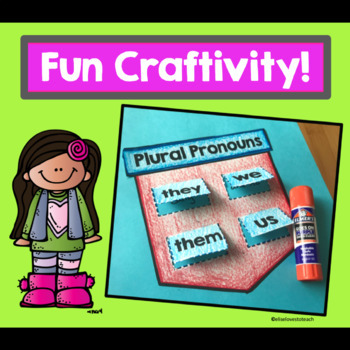 Because younger grades may not be ready for all of those components, the lesson can easily be modified to focus on simply identifying pronouns within sentences. 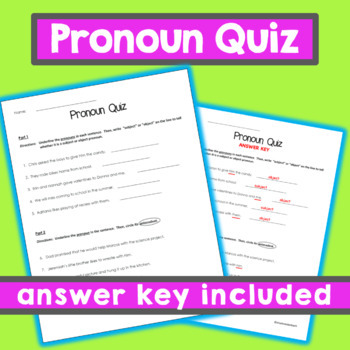 Likewise, the quiz directs students to identify the antecedents and subject/object pronouns, but younger grades could simply eliminiate that component and only identify pronouns. I have used these resources on students in second grade and fourth grade and both ages really enjoyed them! Please leave feedback & tell me what your students enjoyed most! 3rd Grade ELA Common Core Standards Posters "I can..."
Customer Tips:FREE TPT $$$ to spend! •	It’s true! Just go to your My Purchases page (you may need to login). Beside each purchase you'll see a Provide Feedback button. Simply click it and you will be taken to a page where you can give a quick rating and comment for the product. Each time you give feedback, TPT gives you feedback credits that you can use on future purchases. It’s that easy!